You might be done done with Winter madness, but a bit of Dunn Dunn Fest will have you grinnin' again. We've marked ChiIL Live Shows' must sees below. Dunn Dunn Fest 2013 was such a great success, that they're back at it again this year. 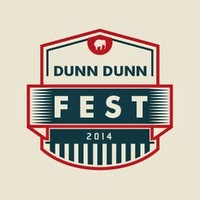 Over 700 people attended the inaugural Dunn Dunn Fest! A limited amount of 3-Day passes are now on sale for only $30! Save $20 and gain access to all 4 shows. 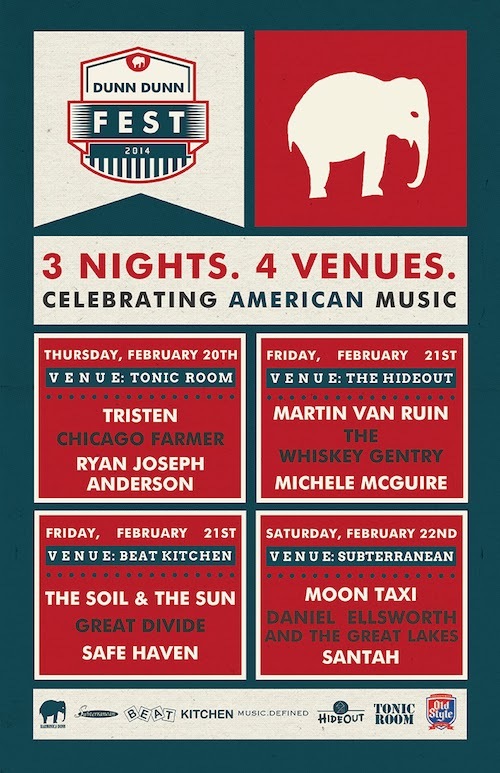 MOON TAXI will headline Dunn Dunn Fest 2014 on Saturday, February 22nd, 2014 at Subterranean. Interested in volunteering with Dunn Dunn Fest? Click here for the full fest site.